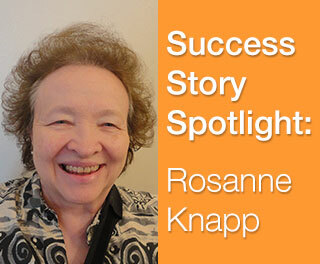 In May of 2015, Rosanne Knapp of Kingman, AZ, suffered a severe stroke. The former technology recruiter, Alzheimer’s facility worker, and author of the book Southern Wind was 64 years of age and retired at the time of her stroke. Following the attack on her brain, Roseanne spent several weeks at Kingman Regional Medical Center where she met speech-language pathologist (SLP), Melanie Bradle, and then a full year in rehabilitation extended care at Desert Highlands Rehabilitation Center. After the year in extended care, Rosanne returned to her home with her husband of 46 years, Ray. Believing that more could be done to help his wife, Ray, a retired aerospace engineer who designed a special ramp for his van to transport Rosanne to physical and speech therapy, reached out to Melanie, asking for her help. Melanie recommended a Lingraphica device for Rosanne based on her experiences with a few other clients on her caseload. 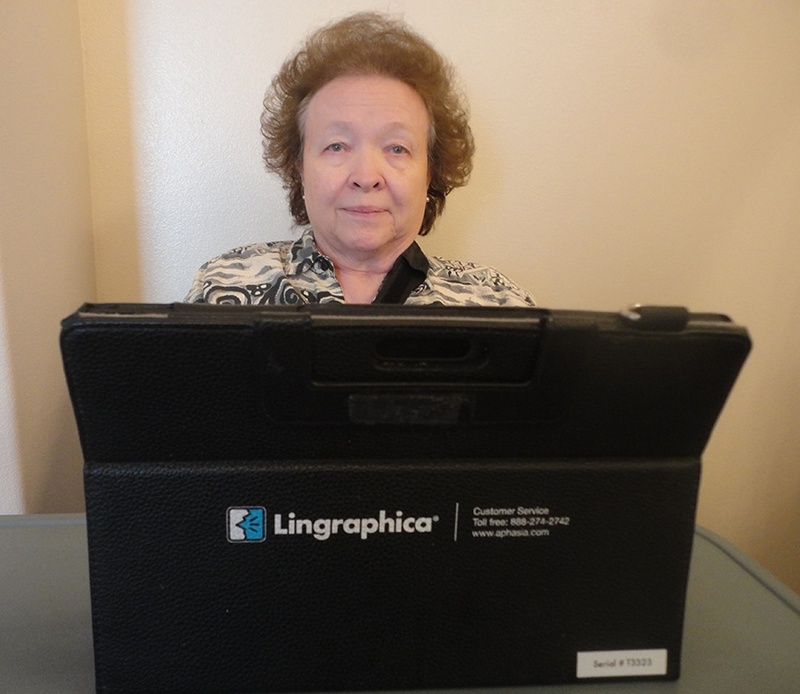 Rosanne has only owned her Lingraphica TouchTalk™ for about three months (at the time this story was published), but the Knapps and Melanie are already wildly encouraged by what they’ve experienced. As a speech-language pathologist, Melanie also had high praise for the Lingraphica device. If you or someone you know has a medical need for a communication device like Rosanne, Lingraphica offers a free device trial to ensure a good fit! Click below to try a device!